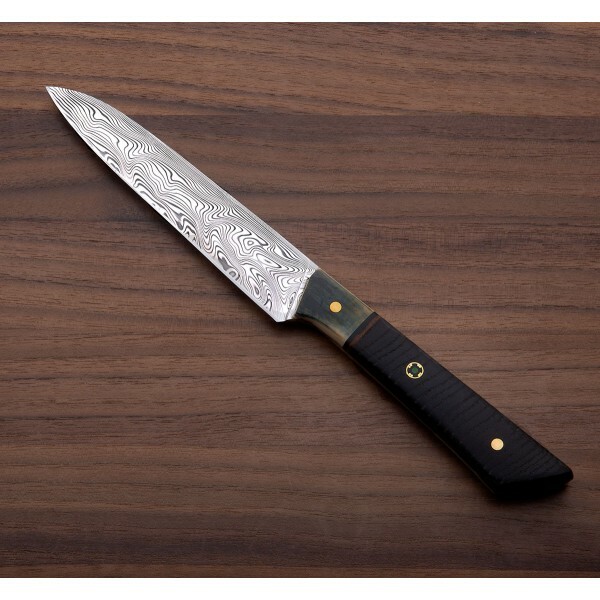 Elegance and craft share the stage in this Tobbe Lundström 137mm / 5.4" petty chef shaped from stainless Damasteel, made just a day's drive north from where the steel itself is created. 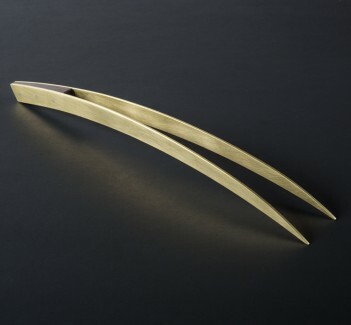 The handle, a piece of art by itself, is shaped from ebony, black oak and beautiful blue mammoth and fastened with a single mosaic pin flanked by two brass pins. 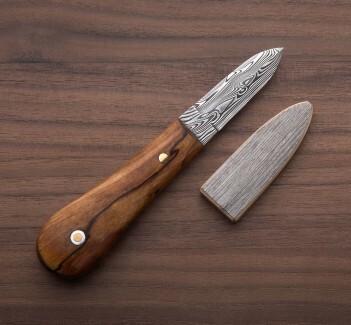 A saya made from reclaimed barn door is included. 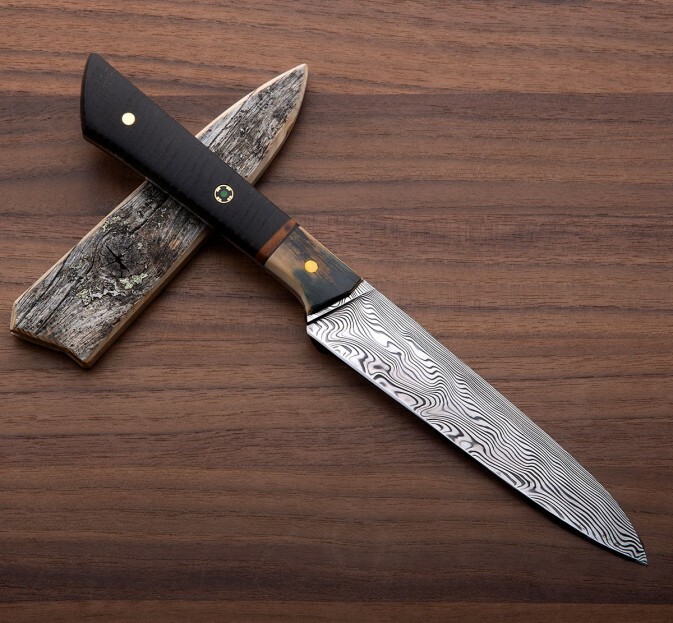 Torbjörn "Tobbe" Lundström designs and builds stunning one-of-a-kind chef knives at this shop in Åre, Sweden, working almost exclusively with Damasteel's superb stainless damascus steel. 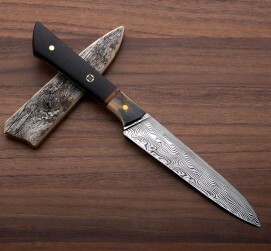 With locally sourced materials from blade to handle, Tobbe's work is as beautiful as it is a pleasure to cook with. Blade length: 137mm / 5.4". Overall length: 260mm / 6.1". Blade heigh at heel: 27mm. Blade width at heel: 2.2mm. Blade width 1" from tip: 0.9mm. 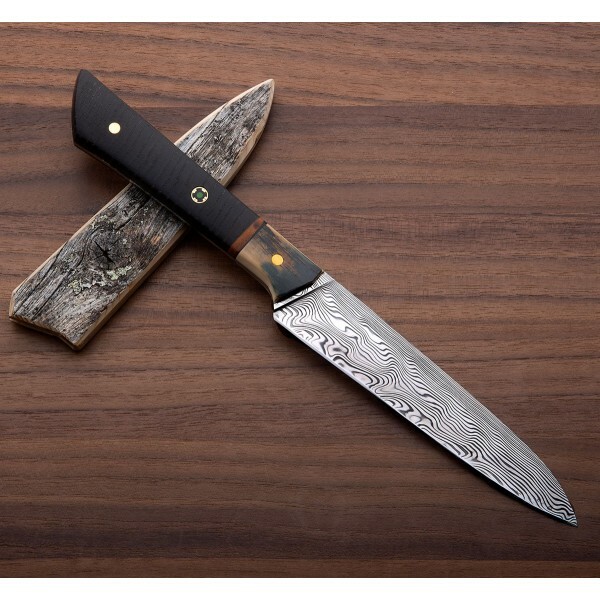 Weight: 3.4 oz / 96 g.
Blade: Stainless damascus Damasteel. Handle: Ebony, black oak & blue mammoth bolsters with mosaic & brass pins.